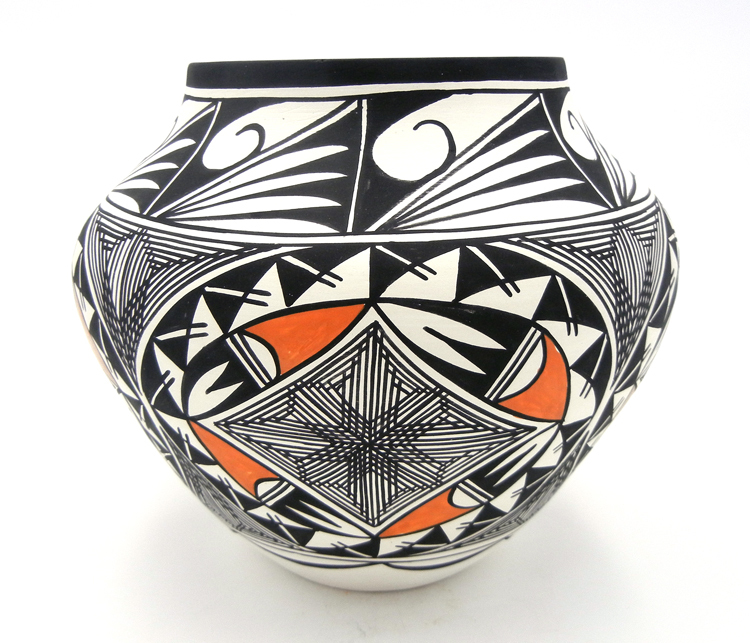 Acoma potter Beverly Garcia created this wonderful piece in the traditional style, hand coiling the jar and hand painting its surface with myriad patterns associated with the pueblo. 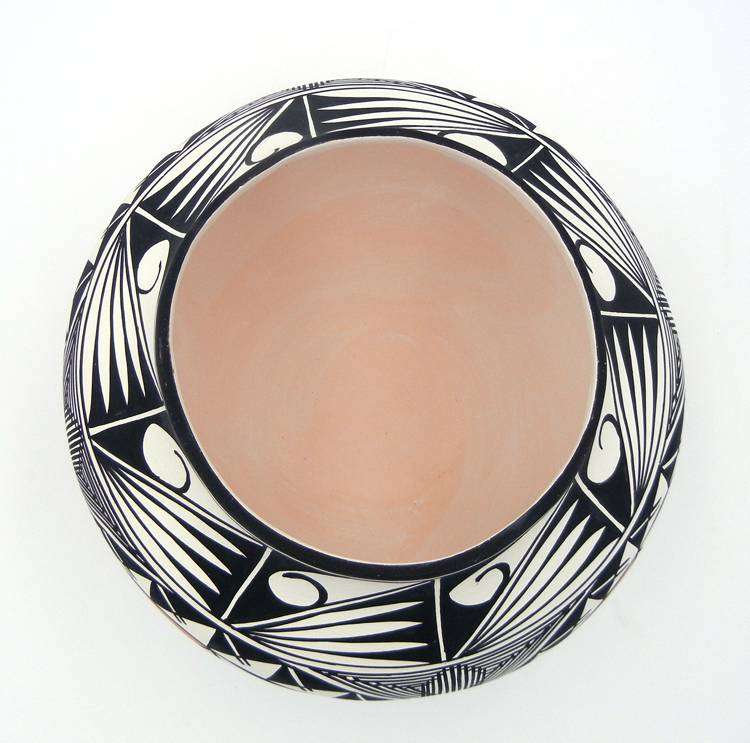 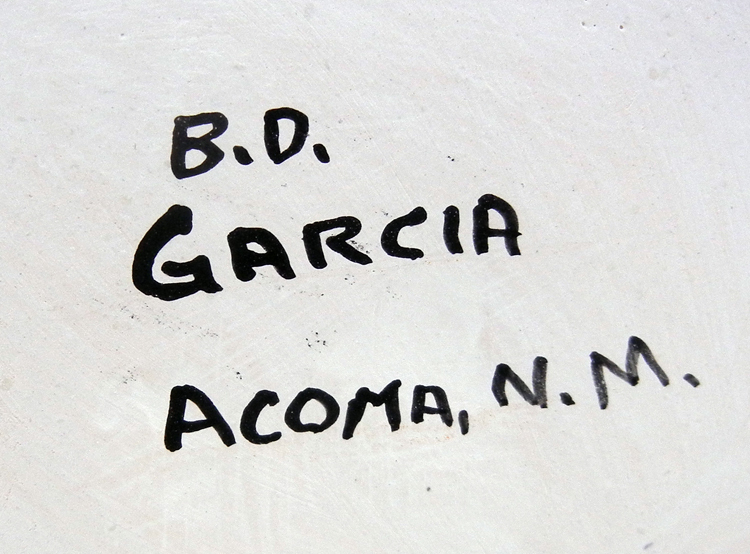 Fine lines are painted along various portions of the piece, which, in Acoma culture, represent rain, while wave, feather, and other geometric patterns encase and surround the fine line designs in their multiple iterations. 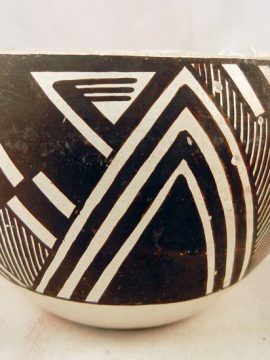 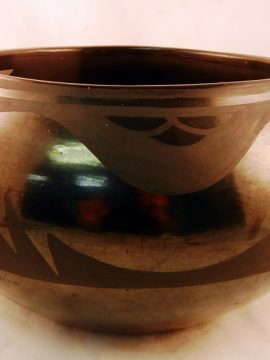 Wave and plant designs are painted just below the jar’s opening, while fine lines creating diamond shapes are surrounded by black, white and red feather designs in a reoccurring pattern just below the inflection. 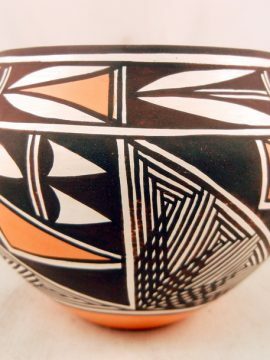 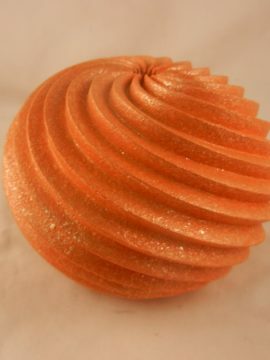 7 3/4″ tall x 8 1/2″ wide.